Happenstancedly (yes, I just made that word up), I encountered this banjo player on the steps of the old Tofel bar near Ammansville. 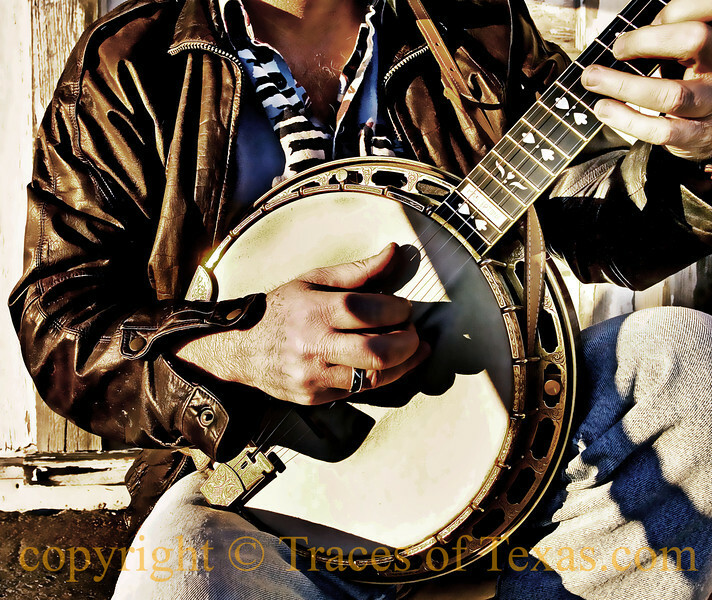 "Do you know how long it takes to become really good on the banjo?" he asked. "No," I said, "I don't." "Neither does anybody else," he said. You've got to love banjo humor.